Such is the ‘lot in life’ of the husband of a food blogger, I’m afraid. It’s a terribly hard life, isn’t it? I don’t bake as often as I cook, but when I do bake I do indeed find it very difficult to make something that doesn’t include chocolate. And I would have found it especially difficult to exclude it from these particular muffins because, well, the orange and chocolate combo rocks, right? To be more specific, I decided to add lots of tangerine juice and zest to these muffins. I’ve never been much of a ‘fruity’ person, but to me the smell of tangerines is one of the best food aromas there are – that, along with tomatoes on the vine … swoon. But if you happen to have satsumas, mandarins or even plain old oranges hanging out in your fruit bowl rather than tangerines then by all means go ahead and use those in this recipe instead. The muffins also have walnuts, cinnamon and nutmeg in them. The result is a lovely subtly spiced and orangey, moist and yet light crumbed muffin which is perfect for a grab-and-go breakfast or mid-morning or afternoon snack. They aren’t overly-sweet and could be easily customised a little to your taste, too. 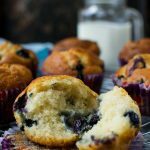 If you’re a ‘bah humbug to chocolate’ sort of person, like Mr. Scrummy, or want to keep the muffins a bit lighter, you could easily switch out the chocolate for fresh blueberries, or perhaps some dried cranberries or even plain old raisins. 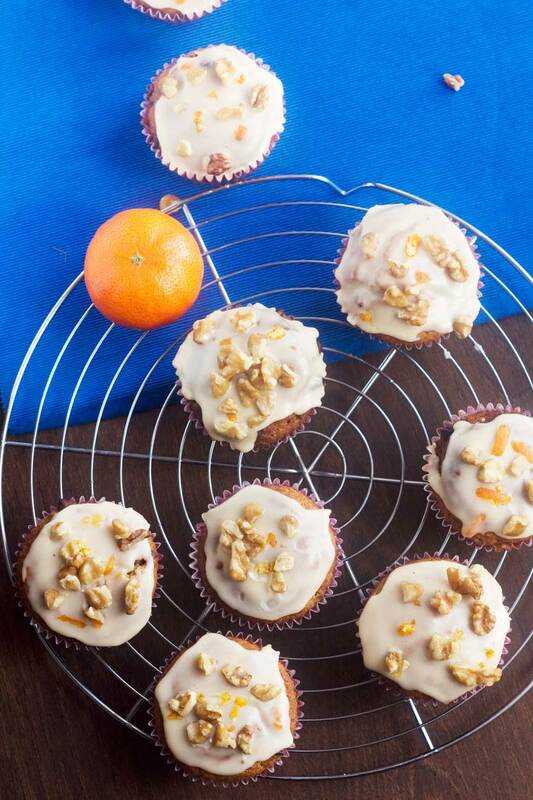 I decided to finish my muffins off with a little drizzle of simple tangerine icing topped with orange zest and walnut pieces. Go ahead and miss this part out too, if you like. The muffins would still be yummy if you added a little sprinkle of brown sugar to the top before baking instead and just left it at that. I must admit I’m looking forward to polishing these muffins off this week for snacks … all by myself, seeing as Mr. Scrummy isn’t so keen. So there’s a little useful tip for you. If there’s something you really like, add something to them that you know your partner/flatmate/family member/whoever lives with you doesn’t like. 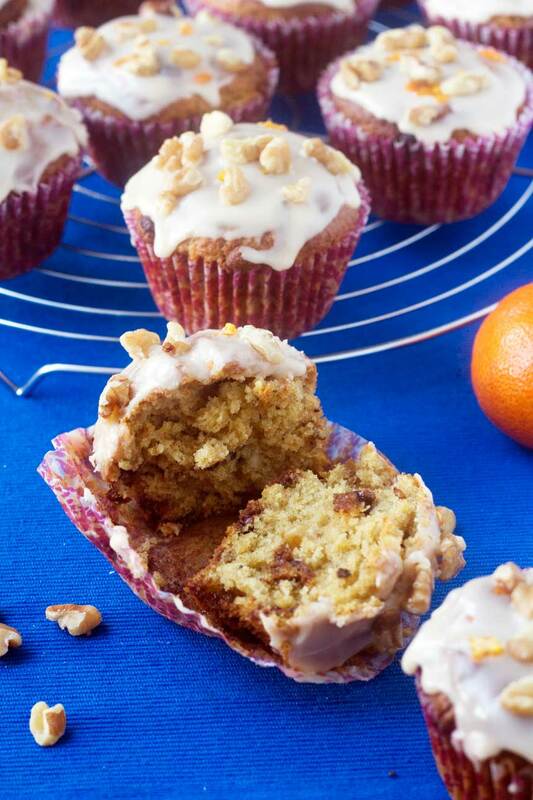 Lightly cinnamon and nutmeg-spiced muffins stuffed with zesty tangerine flavour, crunchy walnuts and chocolate chips. The flavours are subtle and warming and the crumb light and moist. Yum! Preheat oven to 200C/390F and line a 12-hole muffin tin with muffin liners. Add the flour, baking powder, bicarb of soda, sugar, cinnamon, nutmeg and orange zest to a large bowl and mix. Now add the orange juice to a measuring jug and pour the milk in until you have 200ml (7 fl. ounces) of liquid altogether. Add the oil and egg and whisk. Add the wet ingredients to the dry and mix until just combined (batter that’s still a bit lumpy is OK- don’t overmix). Fold in the walnut pieces and chocolate chips and fill the muffin liners with the mixture. Bake for 18 to 20 minutes or until the muffins are well risen, golden and cooked in the middle. Let cool on a wire rack. Meanwhile, make the icing, if using. Simply squeeze the orange juice into the icing sugar, little by little, until you have a fairly thick icing. Spread a little onto the top of each muffin when cool. Finally, sprinkle with a little orange zest and a few of the extra walnut pieces, if you like. Adapted from Nigella’s recipe for Christmas morning muffins. Thanks, Mira! Glad you agree that the choc chips shouldn’t be missed out. Thanks for the pin! I started laughing after paragraph 1 because my Mr. “hates” chocolate although of lately he’s been digging into my chocolate treats. That used to be my safe place!! How do they hate chocolate?! Anyway, chocolate and orange flavours are always so great together and I’m sure these muffins are no exception. They look so delicious Helen! I know, I don’t get that either. How can anyone not like chocolate? Actually, he does like chocolate, but just not in cakes. Oh well. All the more chocolaty cakes for me! J’aime beaucoup la combinassions de tes muffins ! Les discussions avec Mr. Scrummy me rappelle au miens, mais à la fin, il finis pour manger tout et dire: mmm c’est bon ! Ha! La plupart du temps, Mr. Scrummy fait la meme chose. Il se plaint, puis il mange tout! I would say Poor Mr. Scrummy, but I know how well he eats in general so I think he can sacrifice a batch of muffins! Thankfully the.boy and I both love chocolate, so it’s the more the merrier around here! 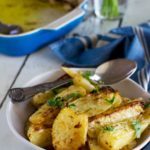 Love that you paired it with citrus in these! Haha – yes, you are wicked indeed! 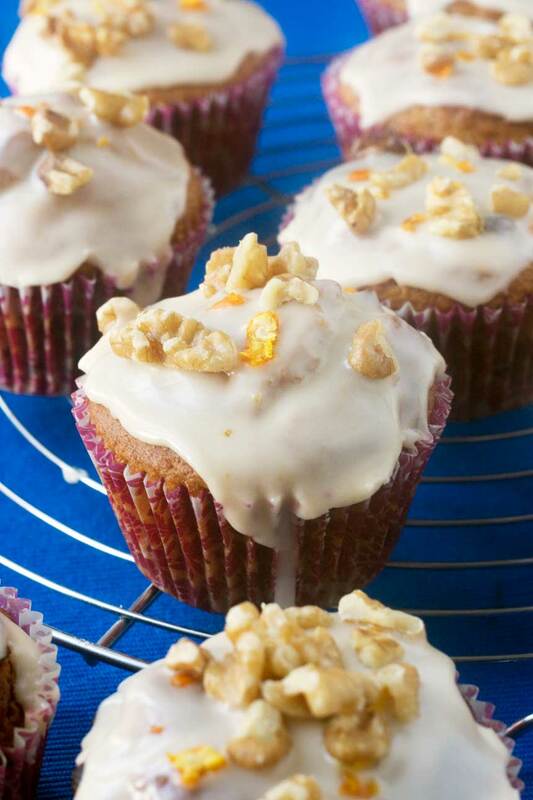 But I don’t blame you – these sound wonderful – that tangerine icing just take these to the insanely decadent level and I need to try and figure out what my daughter doesn’t like that I like – in the past 16 years, our tastes have been insanely similar which means I have to share EVERYTHING! GAH! I’m sure Mr Scrummy is missing a treat, these look so good, but all the more for you. Chocolate and orange, yum. These look fab!!! I love the combination of nuts and tangerines! Pinned! Haha, I don’t blame you! 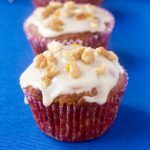 These sound delicious – I am loving walnuts at the moment. These muffins look fantastic, Helen! Such a creative flavor! I love the tangerine combination with the chocolate chips. 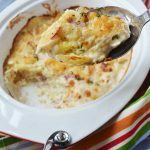 Sounds like this would make the perfect breakfast or mid-morning snack! Thanks, Gayle! They actually didn’t make it to Monday, so I’ll have to make some more for my work-time mid-morning snacks. Now what a shame! Thanks so much for pinning, Marcie! That’s actually a pretty good idea to make some muffins without chocolate next time. I think I’ll do that. Wow, I am totally swooning over the flavors here, Helen! Chocolate and orange totally rocks, you are right, but even better with walnuts and warm spices added. I can see why you’d want these all to yourself! Hi, Allie … thank you so much! Really happy you approve of the flavours I’ve got going on here … I must admit they were good … and have disappeared already! YOU are hilarious. This post cracked me up. I am now that crazy person staring at her computer giggling while others look on. But back to these muffins! I love all the flavors and the added crunch from the walnuts. And I love the colors in your photos. I can’t wait to try these! Thanks, Medha … I’ve been wondering if the photos turned out a bit, erm, blue … but thanks for the compliment! Me too! I had to stop myself this last time and be like, don’t add chocolate chips don’t add chocolate chips. I just love em though, it’s hard! 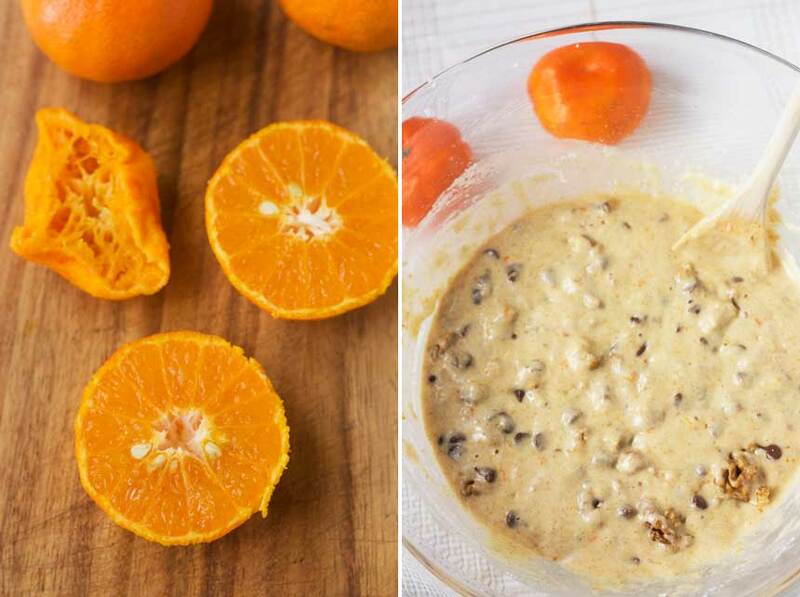 The tangerine and walnuts are perfect here! I’ve been wanting to make some mini muffins for my daughter to be able to bring for school snack. I wanted a new flavor combo and these sound just what I want to make. Perfect. Oh, that’s great, Kathy! Let me know how the mini muffins go. Really glad you like the flavour combo enough to give them a go! Tangerine! That’s a new one. And I don’t know if I’d trust a man that didn’t like chocolate, no offense to Mr. Scrummy. Hahaha … well, luckily he does like chocolate, just not in muffins … so I suppose I can live with that! First of all, how can he not like chocolate muffins??! Isn’t that like a sin or something?! Secondly, I would totally do the same thing with my husband just so I could eat them all myself 🙂 I love the chocolate and tangerine combo! 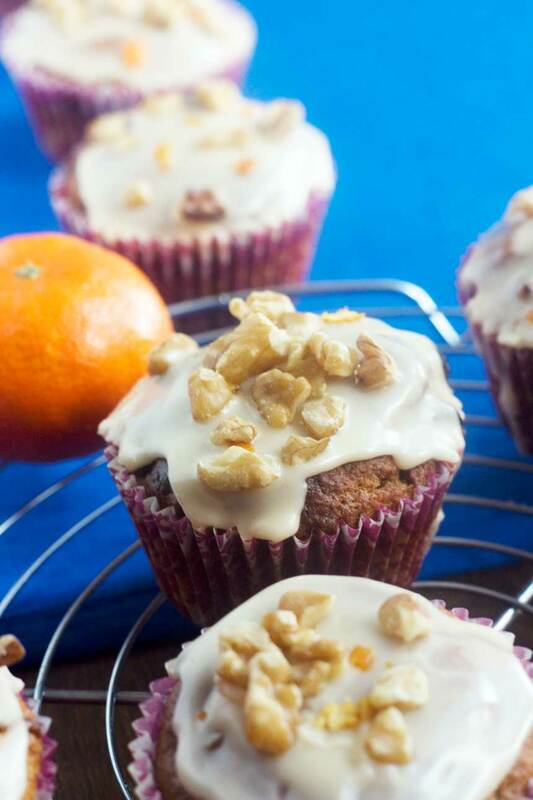 Citrus and chocolate go so well together and I bet these muffins taste amazing! I love your mentality seriously so much. 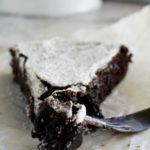 I mean, chocolate belongs in anything and everything right?! Case in point, these muffins. I am just swooning over all the amazing flavors you packed into these little guys! 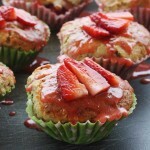 I love the way your muffins turned out.I wouldn’t mind waking up to these for breakfast! Hi, Pamela! Really glad you like these … and yes, so great for an interesting brekky! Well, anything citrus and I’m in! What a treat these would be if I would only get on my baking hat and do it! I don’t bake much lately, but my family would love it if I surprised them with these. So pretty, Helen! Hello, Lori! 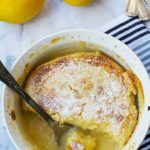 I’m a bit of a citrus-lover, too, and love adding orange-flavoured things to baked goods … and especially chocolate, as I said in my post 😉 I really hope you do get that baking hat on and have a go at these some time! Helen, these look splendid. And did you know walnuts help cut down on belly fat? They really do. Such a unique flavor combination. We’re all getting over the stomachflu here (blah) and one way we celebrate is by making something tasty when it’s finally over! It’s always nice to get your appetite back to and feel like baking and even cooking again! 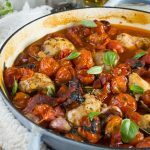 Thanks for sharing such a unique recipe. Hi, Laura! Sorry to hear that you haven’t been feeling so great! At least Spring and hopefully the end of this nasty bugs isn’t too far away now! I’m really happy that you like the sound of these tasty muffins … and thanks for the info about the walnuts, too. I certainly didn’t know that, but what a great excuse for me to make another batch of these! Have a great evening! Oh my, Helen! 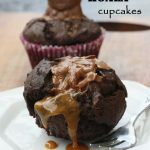 These muffins looks insanely delicious! I just love all of the incredible flavors you have here – citrus and chocolate are always a winning combination! Hi, kathleen … and thank you! I must admit these were rather a hit! I didn’t know that not putting chocolate into a baked good could be an actual request. Like, don’t we all want chocolate in everything?!?!! Hahaha, well at least you got to down them all yourself!! 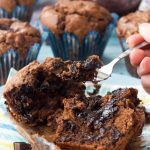 This is such a cute twist on chocolate chip muffins! I bet the tangerine adds a really nice freshness to them! Hi, Shelley! Thanks so much for passing by and taking the time to comment. 🙂 I must admit these are my current fave muffins. Glad you like them!